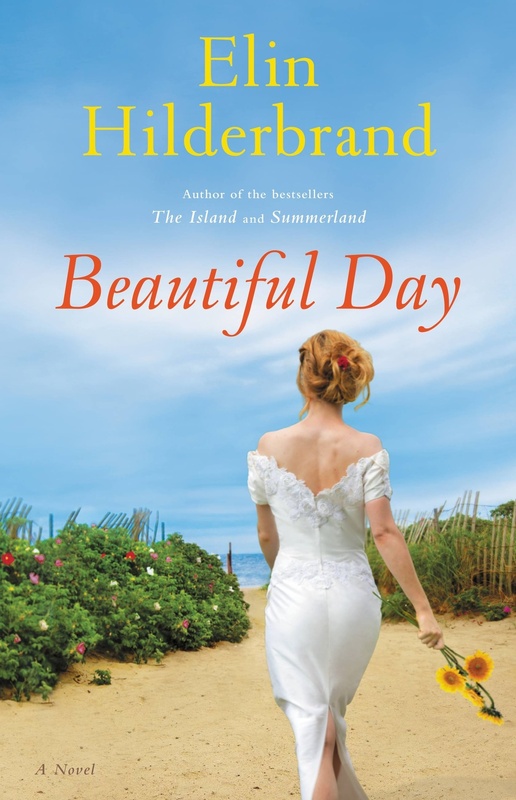 Elin Hilderbrand’s Beautiful Day is a fun, soap opera-like beach read. Jenna Carmichael and Stuart Graham are getting married on a beautiful Nantucket beach… What could go wrong? For one thing, it turns out that the bride’s sister is bitter about marriage in general and about her role as the responsible mother figure. She also happens to be having a fling with a much older man. The groom’s parents have divorced over an affair, and subsequently remarried, and the woman who caused the divorce in the first place will be at the wedding with her son (the aforementioned cause of the divorce). Bridesmaids and groomsmen are in and out of each other’s beds, and soon various skeletons in various closets are brought to light. What can I say? Beautiful Day is a fun, absolutely fluffy, ride of a book. Take it with you to the beach and enjoy! Even better, amidst the fluff and melodrama are some real tender moments. Central to the wedding is a notebook left behind by Jenna’s mother before she passed away. In it, Jenna’s mother writes down her hopes and dreams for her daughter’s wedding — a sweet way for her to be involved even though she is no longer physically around. I admit, my own mother has passed away, and the realization that she won’t be around to see it if I ever do get married is almost too painful for me to contemplate. My mom was a major romantic, much more so than I am, and to be honest, she’d probably have enjoyed the ceremony of my wedding much more than I would have. So Jenna’s mother not being around and instead leaving a notebook for Jenna to refer to did make me somewhat teary-eyed. I can also see how the notebook, while a sweet gesture, puts far too much pressure on the family. As Jenna’s stepmother points out, Jenna has had hardly a say in her own wedding — everything had already been detailed by her mother. The notebook also, understandably, puts a strain on Jenna’s father’s current marriage — his previous wife is a much more dominant presence than even the bride herself. There are also moments of sharp social insight. The Best Man’s boyfriend Jethro for example is hyper aware not just of being one of the only two openly gay men on that Nantucket beach, but also being the only black man at the wedding apart from a server and the bandleader. His tongue-in-cheek commentary is funny, and the way some other characters comment on his adding a welcome touch of “diversity” to the wedding is a hilarious bit of satire about the white bread nature of that predominantly upper class resort. Beautiful Day is just a fun page-turner for the summer. Take it with you to the porch, or to the beach if you’re lucky, and lose yourself in the delightful soap opera of the Carmichael and Graham families. This entry was posted in Book Reviews and tagged 50BookPledge2013, ARC, Fiction, HBG Canada by Jaclyn. Bookmark the permalink.